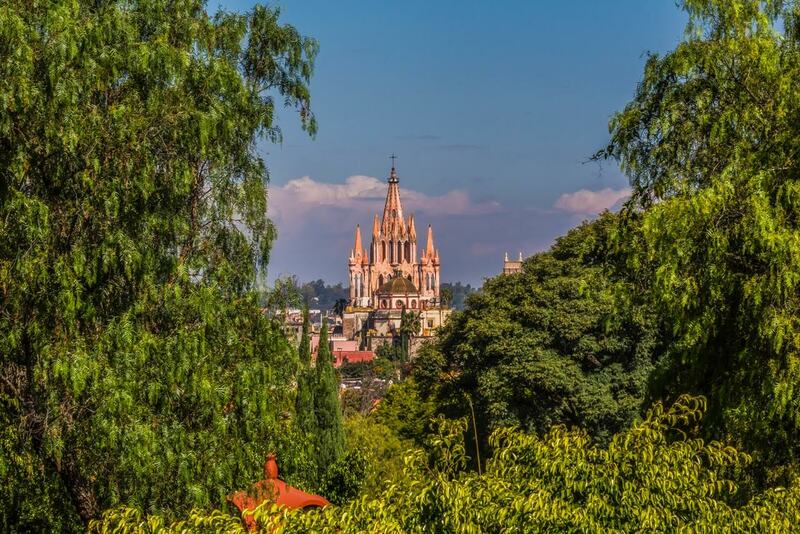 San Miguel de Allende in Mexico’s central highlands consistently pops up on lists of best places to retire. The area boasts warm weather, gorgeous Spanish baroque architecture, and a low coast of living. It’s no surprise that there is a large expat population. 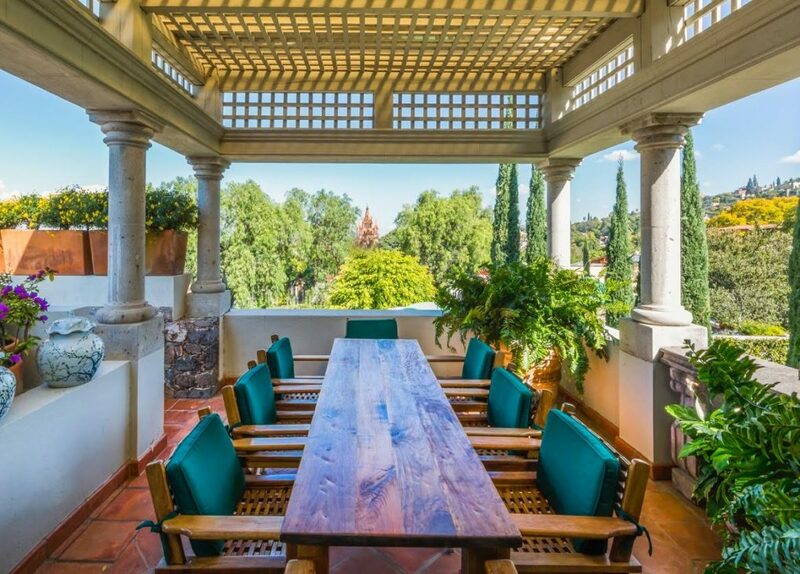 Located just minutes from the central park of San Miguel de Allende, this stunning estate offers an exquisite blend of modern comfort and Old World charm. The home’s elevator comfortably moves you between three expansive floors. 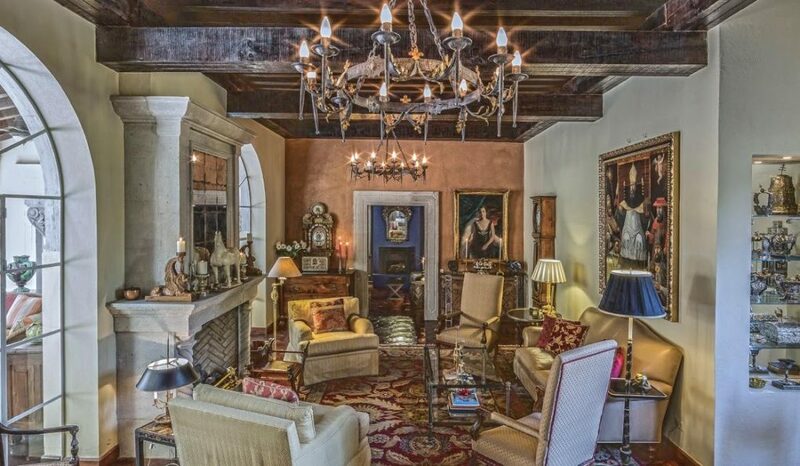 There are three indoor dining areas, a deluxe kitchen, two guest rooms, a two room master, an entertainment room with a bar and two wine closets, multiple fireplaces, a private office, and an amazing living area with a large hand carved fireplace. All the indoor rooms look out to a custom designed pool and elegant grounds with hand-carved fountains. 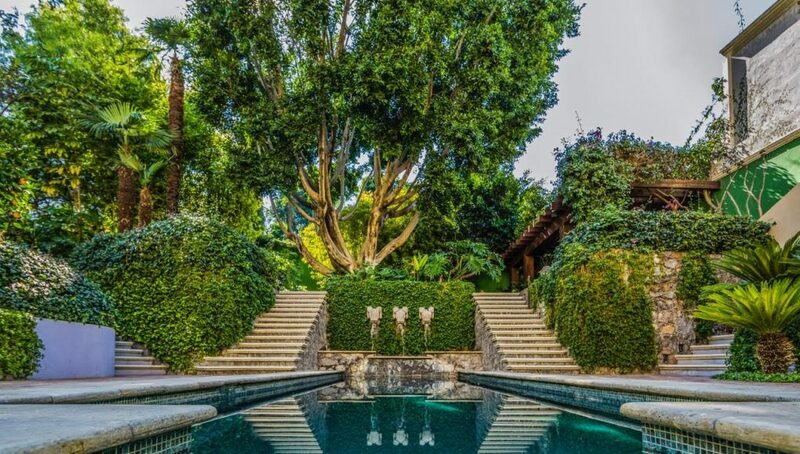 The professionally landscaped grounds also include a two-story private casita. Perhaps most impressively, L’Orangerie has amazing views of the city’s cathedral. 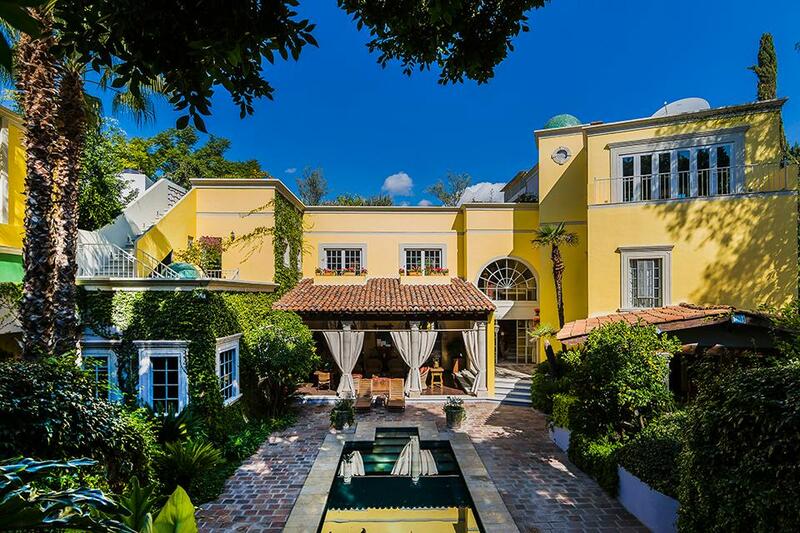 This property is listed by CDR Bienes Raices San Miguel and is showcased by Luxury Portfolio.